Following a challenging initial presidential search process, the Luther College Board of Regents announced the appointment of Dr. David L. Tiede as interim president of the college effective July 1. Luther President Richard L. Torgerson will end his term of service with the college on June 30. 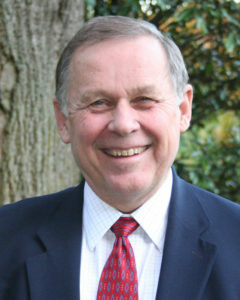 Tiede is emeritus president and emeritus professor of New Testament at Luther Seminary in St. Paul, Minnesota. He served as the Bernhard M. Christensen Professor of Religion and Vocation at Augsburg College in Minneapolis from 2005 to 2010, and as interim president of Wartburg Theological Seminary in Dubuque, Iowa, in 2010. He currently consults with a variety of higher education institutions as they deal with leadership transitions. “We are excited that [Tiede] brings presidential leadership experience, as well as broad leadership on boards at California Lutheran University and Augsburg College,” Rob Larson, vice president for communications and marketing, told Metro Lutheran. “He knows what circumstances he is facing in Lutheran higher education. “He will not be a placeholder,” adds Larson, noting that Tiede has the capacity to lead the Luther community with fresh eyes and a commitment to carry forward Torgerson’s vision for the college. Tiede’s appointment at Luther is for a period of 12 months, or until the permanent position is filled. “He is strongly endorsed by President Torgerson,” added Larson.